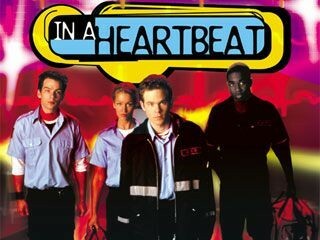 In a Heartbeat (television) Disney Channel original half-hour series about a volunteer EMT squad staffed by high school students. Premiered with a one-hour episode on August 26, 2000 and ending March 25, 2001. Stars Shawn Ashmore (Tyler Connell), Reagan Pasternak (Val Lanier), Danso Gordon (Hank Beecham), Christopher Ralph (Jamie Waite), Jackie Rosenbaum (Caitie Roth), Lauren Collins (Brooke Lanier). 21 episodes.